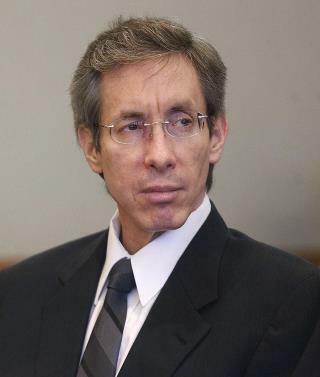 (Newser) – Warren Jeffs must pay $16 million to a woman he pressured to marry her cousin when she was just 14. Elissa Wall, a child bride within the Fundamentalist Church of Jesus Christ of Latter-Day Saints, was awarded $4 million in damages and $12 million in punitive damages Tuesday, some 12 years after filing an initial lawsuit, reports the Salt Lake Tribune. It accused Jeffs of arranging the 2001 marriage of Wall to her 19-year-old cousin, Allen Steed, and pressuring the pair to have children. Wall went on to have miscarriages and a stillbirth. Utah judge Keith Kelly said the conduct of Jeffs—who didn't defend himself—"was so extreme that it went beyond all possible bounds of decency and is regarded as atrocious and utterly intolerable in a civilized society," per Fox 13. Golden tablets, lost tribes, magic underwear, and multiple underage "wives." Whew. What a collection of self-serving delusions. Believing in things without evidence has no downside. Don't laugh its true.